This can be tough to manage since there are so many factors to consider. (Especially if you’re buying an older home.) That’s why it’s helpful to involve a home inspector, and to make sure they look at a few key areas. If your home inspector sees any potential issues, they can put you in touch with experts who will take a closer look. 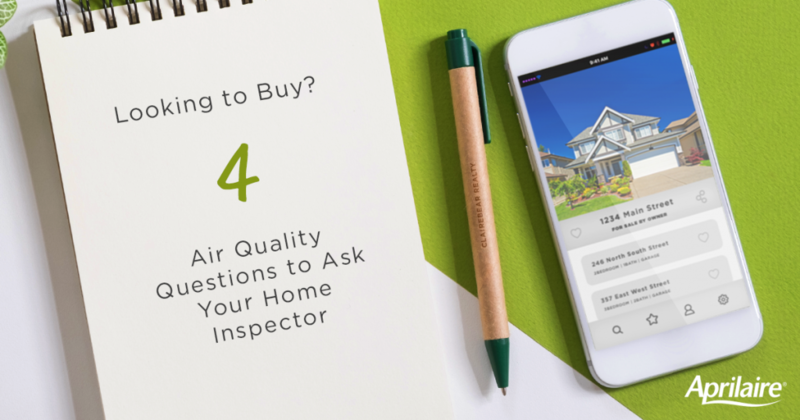 Getting all of this in order can see like a big task, but there’s no overstating the peace of mind that comes with knowing your family is living and breathing inside of a healthy home environment. Having a basement is wonderful. You can make it into a guest room, build out a craft room or workshop, or use it as storage to free up space in the rest of the home. No matter what you’re using a basement for, you want to make sure it’s free of moisture. Unwanted moisture can attract pests, lead to unhealthy growths, and even compromise the structural integrity of the home. Circulating air pushes mold and mildew from your basement in to your other floors. Some minor problems (like these) can be managed with a dehumidifier. But if there are leaks and foundation cracks that are causing moisture to build up, they need to be addressed. And because these repairs can be costly, you want to have them fully inspected and resolved before committing to purchase a home. So make sure the basement and crawl space are inspected for moisture. Musty smells are a dead giveaway, but also have the home inspector look for bloated walls and ceilings, or any attempts to cover up moisture damage without fixing the underlying issues. Formerly used for fireproofing and insulation on pipes and ductwork, most asbestos was outlawed under the Clean Air Act because it can cause lung cancer, mesothelioma, and other chronic respiratory conditions. Outdoor air enters your home for ventilation, heating, and cooling. The filters in each of these systems need checked. It’s crucial to have this barrier between the outdoors and your home to prevent allergens and pollution from entering. This is especially true if you’re living in an area with consistent wildfire concerns. Other information that your home inspector should provide is the expected lifetime of the HVAC systems and if there is any warranty remaining. “Tightness” means the house is well-insulated meaning there isn’t much air exchange between the indoors and outdoors. But these “super efficient” constructions also have a reputation for poor air quality because they lack the ability to replenish fresh air or to properly ventilate the home’s machinery. But the same concerns ring true for “loose” homes, because you can’t control what’s coming in to and going out of the home. So you want to find a middle ground that keeps the indoor environment protected from the changing outdoor conditions, while still allowing for proper ventilation, especially around indoor machinery. Previous Previous post: Are Rain Showers Good For Pollen Allergies?